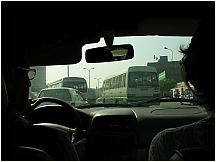 Free photos of Lima, Peru. 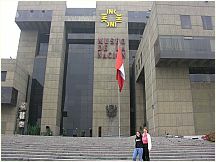 Lima, Peru is the capital of Lima Province and largest city in Peru. It is the cultural and economic hub of the country. Lima occupies the valleys of the Chillón, Rímac and Lurín rivers. 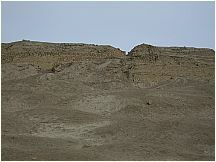 It lies on a desertic coast overlooking the Bay of Lima in the Pacific Ocean where its port was built and named Callao. 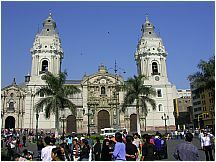 Lima was founded by Spanish conquistador Francisco Pizarro on January 18, 1535, as the City of Kings. It became the most important city in the Spanish Viceroyalty of Peru, an administrative area encompassing most of Spain's possessions in South America during the colonial era (mid 1500s to early 1800s). 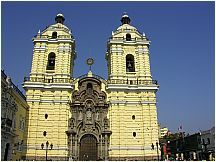 For more than three centuries, Lima was the greatest metropolis in South America. Today nearly one-third of the nation's population lives in this one metropolitan area. There is more about Lima below the photos. 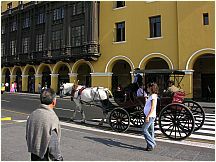 Lima, Peru at the Plaza de Armas, the location where Francisco Pizarro founded Lima and where, in 1821, the Act of Independence of Peru was declared. 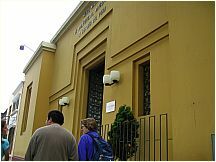 The convent of San Francisco, the chapels of the Solitude and the Miracle, and the Museum of Religious Art and the Zurbarán Room. Underneath are galleries and catacombs. 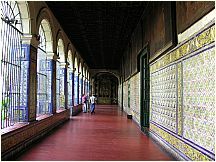 The beautiful cloisters of the San Francisco church in Lima, Peru are decorated with Sevillian style tiles. 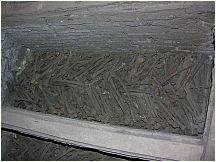 Under the San Francisco church in Lima, Peru are bins of bones, some of all types or perhaps just femurs or tibias (as shown) or skulls, or some combination. Many are arranged in a design. 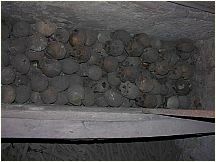 Under the San Francisco church in Lima, Peru are bins of bones, some of all types or perhaps just femurs or tibias or skulls (as shown), or some combination. Many are arranged in a design. Under the San Francisco church in Lima, Peru are bins of bones, some of all types or perhaps just femurs or tibias or skulls, or some combination. 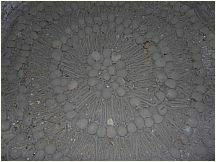 Many are arranged in a design (as shown) . 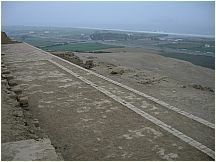 Pachacamac Archaeological Project just south of Lima, Peru on the Pacific Ocean. 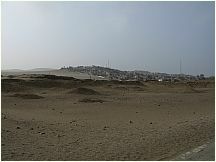 Pachacamac Archaeological Project, showing how the limits of the Preserve have stopped the development from overtaking the site. 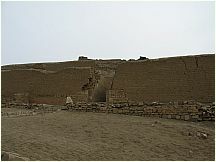 Pachacamac on the central coast of Peru has long been known as the preeminent religious pilgrimage center of pre-Hispanic Peru. 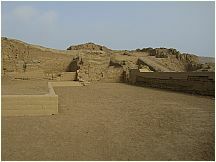 Pachacamac on the central coast of Peru has long been regarded as the preeminent religious and/or pilgrimage center of pre-Hispanic Peru. 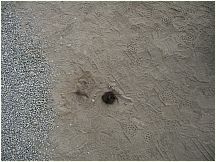 Textiles and other woven materials and skeletal remains from some funerary bundles lying open on the ground as latterday people's footprints record their presence. 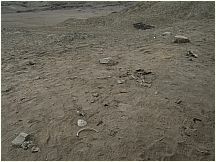 Human hair, textiles and other woven materials and skeletal remains lying open on the ground among footprints at Pachacamac, near Lima Peru. 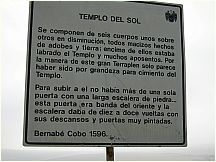 Sign at Templo Del Sol (Temple of the Sun), written in 1596, describing the temple and its 6 levels. 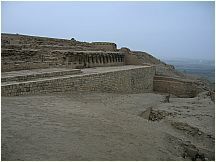 Pachacamac, Peru. The Painted Temple, constructed of adobe bricks and tapia (pounded earthen blocks). Pachacamac, Peru. 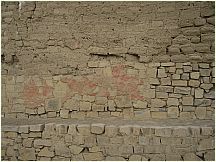 The Painted Temple, contstructed of adobe bricks and tapia (pounded earthen blocks). Pachacamac, Peru. There are 14 Pyramids with Ramps. 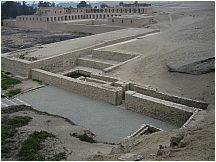 Pachacamac, south of Lima, Peru. 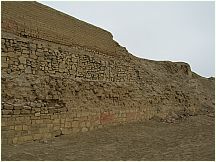 The ocean side of the Painted Temple, constructed of adobe bricks and tapia (pounded earthen blocks). 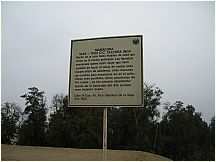 This was a cerimonial and sacrificial area. (pounded earthen blocks). 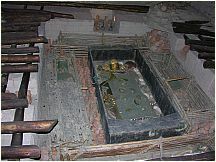 This was a cerimonial and sacrificial area. Sign at Acllausi describing the role of the "chosen ones", young girls who were trained to serve the needs of the rulers. There were six ranks , ranging from those who served the Sun, the Moon, the Thunder and the Stars down to the lowest rank, used as a commodity by the nobles and priests. 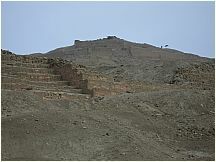 Acllahuasi at Pachacamac, south of Lima, Peru. 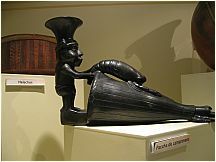 Here in Incan times, 1440 - 1533, women were trained to run households and to serve gods or rulers, depending on their class. 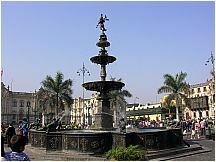 The location of the city was decided at Epiphany (January 6), the day of the Three Kings, and Francisco Pizarro named it Tres Veces Coronada Ciudad de los Reyes. Lima, its original name, however, persisted. It is uncertain where the name originated; it may derive either from the Aymara word lima-limaq, (yellow flower) or from Quechuan rimaq (talking). In the oldest Spanish maps of Peru, Lima and Ciudad de los Reyes (City of Kings) can be seen together as names of the city. The river that feeds Lima is still called Rimac, Quechua for "Talking river" (Río Hablador). 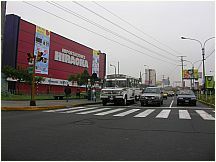 Lima's climate is quite mild, despite being located in the Tropics. 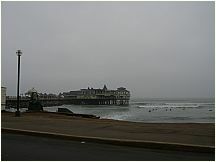 Lima has a subtropical and desertic climate, yet the microclimate also makes it very humid. The temperatures vary from mild to warm.The average temperature is 18°C to 19ºC (60-65°F). The lowest temperatures vary from 12°C (50s°F) to around 20°C (68°F) and the high average is around 25°C (78°F), with 30°C (86°F) in the warmest of days. One must remember to wear tight sweaters (no jackets are needed) in the winters and never forget to put sun block on when going to the beach during summers. Relative humidity is very high, and produces brief morning fog from June to December and persistent low clouds from May to November. Sunny, less moist and warm summers follow from December to April and are followed by cloudy, damp and cool winters (June to October. Rainfall is almost unknown. The yearly average of 0.7 cm (0.3in) reported at the airport is the lowest of any large metropolitan area in the world. Inland locations receive 1 to 6 cm of rainfall, which accumulates mainly during the winter months. Summer rain occurs in the form of isolated light and brief afternoon or evening events, leftover from afternoon storms that generate over the Andes. 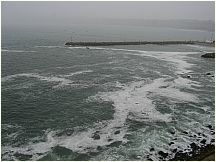 The peak of the 'rainy season,' which really does not apply, occurs during winter when late-night/morning drizzle events (locally called 'garúa','llovizna' or 'camanchacas') become frequent. All these climatic phenomena arise from the combination of semi-permanent coastal upwelling and the presence of the cold Humboldt Current just offshore. One thing to take into consideration is that because of the coast, hills and valleys, there is no single climate for all of Lima. 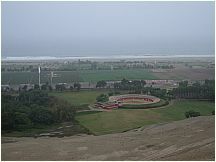 For example, in winter the Surco area of Lima which is closer to the coast will be cool and damp. In contrast, the more elevated next district La Molina area will be warmer and drier. The Cieneguilla area, about 30 minutes drive to the East of La Molina, provides sunshine and spring-like weather seemingly year round. Lima is described as having micro-climates; while winter is generally winter in all of Lima, a 30 minute drive in any direction can put you in a slightly warmer, drier, wetter or colder area depending on your elevation and distance to the coast. Same goes for the other seasons. 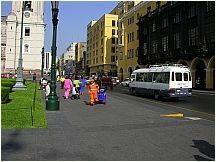 The Lima Metropolis ranks among Latin America's largest and densest urban concentrations, with estimated populations (as of 2005) of 7.6 million for the urban area, 7.8 million for the entire province, and 9.2 million for the Lima and Callao Metropolitan Area. 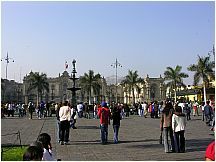 The population of Lima features a very complex mix of racial and ethnic groups. 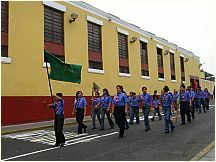 Traditionally, Mestizos of mixed Spanish and Amerindian descent are the largest contingent. 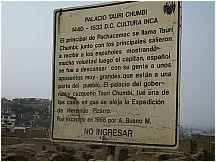 However, political and economic instability in Peru during the latter half of the twentieth century created unprecedented poverty and violence in the towns of the countryside or Andean highlands, forcing hundreds of thousands of peasants of full-blooded Amerindian descent to migrate to Lima — thus greatly augmenting Lima's population. 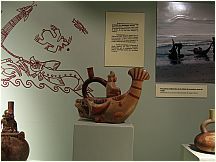 Unlike other ethnic groups in Lima who speak only Spanish, most of the peasant population that migrated to Lima speaks primarily Quechua or Aymara, rather than Spanish. While a number of Amerindians eventually attain middle class status, others still live in shantytowns, known locally as pueblos jóvenes (young towns). These areas often lack such basic services as electricity and running water. It is expected that over the next ten years, the population of these shantytowns will decrease to 8% of the population of Lima. Europeans, the economically dominant segment of the population, are mostly of Spanish descent, but there are significant numbers of Italians, Germans, and Middle Easterners. 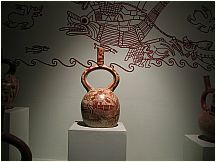 Afro-Peruvians, initially brought to the region as slaves, are yet another important part of the city's ethnic quilt, and Asians, an even smaller one.